It’s more than likely that you arrived at this post from my “Ultimate Guide To Making Money Online“, but if you didn’t and you came here from somewhere else (such as a search engine) then be sure to head on over and check that out first. In this post I’m going to be talking about something called Matched Betting, which is a concept that’s being increasing popular as it basically enables you to legally “beat the bookies”. If you’re definitely interested in matched betting then stick around because I’m going to be explaining exactly how it works & how you can profit from it right here in this post. If however you’re potentially interested in others way of making money online then be sure to check out this post where I’ve listed a whole load of fantastic alternatives. How much you can make from matched betting varies quite a bit depending on things such as how much time you’re willing to put into it & how many free-bet offers you’re able to find. However, it can definitely prove to be fairly lucrative as several people have reported earning thousands per year from matched betting alone. I think you’ll agree that that’s not bad at all, especially since it’s something that can quite easily be done on the side in your spare time. On top of that the other huge bonus to matched betting is the fact that your earnings will be tax-free (wahoo) so everything you make can go straight into your pocket. Is there risk, and can you lose money? The concept of matched betting is that you are using free-bet offers & betting against all the odds of losing so that regardless of the outcome you walk away with a profit. With that being said, if matched betting is done correctly then there should be no risk involved – however it’s easy to make mistakes, and if you do then you could ultimately you could end up losing money. The key is to be careful & double check all of your bets to avoid this happening. There are several websites that can make your life easier & help eliminate the risk from matched betting by auto-calculating the required stake amounts based on the odds which will help you work out whether or not the bet will be profitable. There’s also websites that help you find the latest match betting offers & show you exactly how to take advantage of them, such as Profit Accumulator. Profit Accumulator is one of the larger, more popular sites & the one that I’d personally recommend but there are several others available too. So how does matched betting work? Before I get into explaining exactly how matched betting works, I want to make you aware that the process itself can seem quite daunting – especially if it’s a brand new concept to you. Don’t let that put you off as matched betting can be extremely lucrative & as mentioned above there are several websites that will now do all this maths for you, so don’t expect to be required to figure it all out yourself. It’s also something that’s a case of simply getting used to, the more you do it the easier it will become and you’ll eventually get to the point were you look back wondering what all the fuss was about. 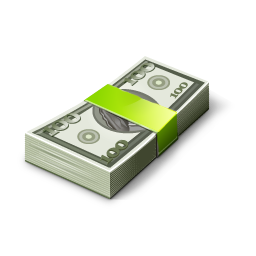 The first thing you need to do is find a free-bet offer from an online bookmaker. You know the ones, you’ll have seen them about – “bet £10 get £10 free” and the like. With the bookmaker that’s offering the free-bet you’ll need to place what’s known as a back-bet (making sure to apply to their terms & conditions in order to quality for the free-bet offer). You’ll then need to place a corresponding bet (known as a lay-bet) with a betting exchange to cancel out the element of risk by laying out the exact same outcome. This is where a matched betting calculator comes in handy to determine the amount you’ll need to lay, and when done correctly you’ll have now covered all outcomes of the same sporting event. Once the event that you bet on finishes, you’ll have unlocked your free-bet that was offered to you by the bookmaker in step 1. From here it’s simply a case of repeating the steps, only this time you’ll be using your free-bet money instead of real money which removes the element of risk to your own cash. Repeat the whole process at as many different online bookmakers as you can that are running free-bet offers & withdraw your winnings as tax-free profit. Hopefully the above steps made sense to you, and that you at least “kind of” grasp the concept of matched betting. If you still don’t quite understand it then don’t worry, and rest assured that it personally took me several attempts to get my head around it so you’re certainly not alone. To help you get a better idea, let me run through an example. To start with you’ll need to place what’s known as a qualifying bet. This means that you’ll need to start out with real money, and this is a requirement by bookmakers so that you don’t just sign up, take advantage of their free-bet and then never return. Basically your qualifying bet is simply just to unlock the free-bet offer from the bookmaker. As soon as the free-bet is unlocked you can remove your real cash from the equation and began making REAL money from the free-bet amount. This is the point though where it’s important to again stress that if done incorrectly, you could potentially lose money – so check, check & check again before placing any bets with real money. Continuing with our example let’s say we searched the internet and found an offer at Coral that said if we bet £10 they’ll give us £10 free credit. The first thing you need to do is check the terms & conditions to see what’s required for the free-bet amount to be released. A typical example might be that you have to bet £10 at odds of at least 2.00 (evens or greater) in order for the free-bet amount to be credited. Another important thing to look at in the terms & conditions is the free-bet type. The ideal one is “Stake Returned” as this means they’ll treat the free-credit as if it’s your own real money as opposed to “Bonus Credit” which is typically non withdrawable. What you’ll need to do now is finding a sporting event that has close odds at both the bookmaker and the betting exchange. This is something that might take you quite a while at first, but with experience it will become much easier. As you can see the odds are fairly close at both the bookmaker & the betting exchange, close enough at least for us to have been able to take advantage of this in our matched bet. Now we need to physically place a back-bet at the bookmakers using real money. We’ll only be using real money for our initial bet so that we can unlock the free-bet offer, however since we are using real money for this bet this is where it becomes vital to make sure everything is correct. An example back-bet here would be to bet for the away team to win, and we would bet £10 since as mentioned earlier this is the minimum amount required as per the bookmakers terms and conditions to enable us to quality for the free-bet credit. After placing our back-bet with the bookmaker, we now need to place a lay-bet with the betting exchange which is done in order to minimise any risk that we are exposed to. This is what makes matched betting different to gambling, as rather than “hoping for a win”, we as matched betters are covering all options of losing instead. This is the point where the maths becomes involved to determine how much we need to lay at the betting exchange. Since the back-bet we placed at the bookmakers was for the away team to win, our lay-bet will need to be this time for the home team to win or draw in order to cover all outcomes. Firstly you need to take the odds of the lay bet, which in this instance would be 2.54 (from the table above) and subtract the betting exchange’s commission percentage. This is something that can be found on their website, and at the time of writing this post it is 0.05 at Betfair which is the equivalent of 5%. So 2.54 (odds of our lay bet) subtract 5% (betting exchange commission percentage) = 2.49. Next you need to divide the potential return at the bookmaker (which in this case is £10 multiplied by 2.50) by 2.49 (the number we just calculated above). This leaves you with the exact lay-bet amount which in this example would be £10.04. Now what you will need to do is place your lay-bet of £10.04 on the home team to win or draw at the betting exchange. Regardless as to whether our bet with the bookmaker wins or loses, we will make a small loss of £0.46, however whilst this is a loss remember that this is simply our qualifying bet & you have now also unlocked the £10 free bet at the bookmaker. It’s common to make a small loss from the qualifying bet, but once the free bet is unlocked you are then able to make some real profits and make back any small losses that may have occurred from the initial qualifying bet (such as the £0.46 mentioned above). Once the free bet is unlocked it means it’s time for you to place another bet, only this time if done right it will put you into withdrawable profit. 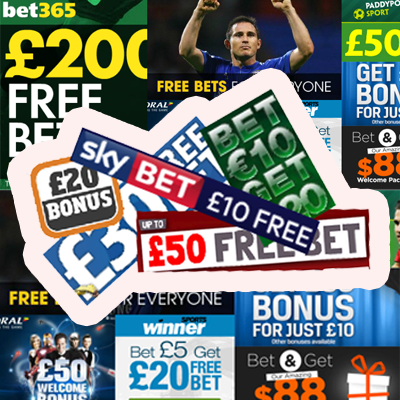 All you need to do is follow the exact same steps as we’ve just gone through above, but this time you’ll be using the free bet credit with the bookmaker as opposed to your own cash. So again place your back-bet with the bookmaker & your lay-bet with the betting exchange either calculating the stake required using the maths above or using a matched betting calculator to make your life easier. Now if done correctly, regardless of the outcome you will make a profit (even if your bet actually makes a small loss). After completing our qualifying bet, we were left out of pocket by 46 pence. However that qualifying bet enabled us to unlock £10 of free credit. So we withdrew what was left of our own cash that we had initially put in (£9.54), and then we placed our next bet with the £10 free credit. Let’s say for example on the next bet you made using the free credit you made another small loss of 60 pence, you are ultimately in profit overall by £8.94. The idea of matched betting is that regardless of the outcome you will only ever make a small loss, so basically you are simply taking advantage of the free credit that is on offer by the bookies and using a matched bet to turn it into withdrawable cash. All you have to do from here is find as many more free-bet offers as you can to take advantage of. I did spend quite a while putting this post together in an effort to try and explain the process as simply as I could but I’ll admit that it even took me quite a while to get my head around the concept too. Hopefully if anything though my post has at least helped show you how this certainly can be a pretty lucrative method of making money online, and one that once you get the hang of wont take up a huge amount of your time. If you are new to matched betting (or even if you’re experienced) then I would strongly advise the use of a matched betting website such as Profit Accumulator. It just makes the process so much less painstaking, and by using a professional tool to calculate your odds it helps in taking away the risk of making a mistake when placing your bets. If however matched betting seems a little bit too complex for you then you might want to check out this page which contains a whole bunch of other ways that you can also make money online. Be sure to check out my Ultimate Guide To Making Money Online too!